Peter Wilson. Photograph courtesy of Gilgandra Museum and Historical Society. Per his military service record (regimental no. 2404), Peter Wilson was born at Nyngan, N.S.W. He gave his age as 21 years and 2 months, his marital status as single, and his occupation as labourer. His description on his medical was height 5 feet 7 ½ inches tall, weight 12 stone 7 lbs., with a fair complexion, blue eyes, and fair hair. His religious denomination was Church of England. He completed his medical at Gilgandra on 7th October 1915, and was attested by Captain Nicholas at Gilgandra on 9th October 1915. He claimed he had no previous military service. 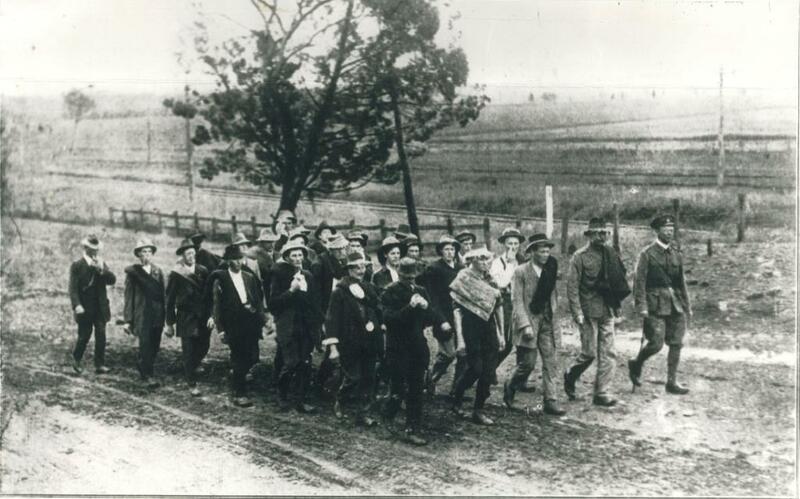 After completing the Coo-ee March he went Menangle Light Horse Camp as reinforcement for the 7th Light Horse Regiment. Private Wilson received a wristlet watch at a welcome home function held for some of the Coo-ees home on leave at Gilgandra at the end of December 1915. According to the speaker, Mr Garling, said Private Wilson ‘was very keen to do his duty for his country’, and ‘had made several attempts to enlist but had been rejected. However, he underwent a course of physical training, which improved his constitution and physique to such an extent that the next time he presented himself he was accepted’. On his embarkation roll his address as time of enrolment was Myrtle Street, Gilgandra, and his next of kin is listed as his sister, Miss Christiana Wilson, Miller’s Point, Sydney, N.S.W. Trooper Wilson departed Sydney on the HMAT Palermo A56 on 18th April 1916, with the 16th Reinforcements for the 7th Light Horse Regiment. After arriving in Egypt he was taken on strength by the 2nd Light Horse Training Regiment at Tel-el Kebir on 10th June 1916. On 10th July 1916 he was transferred to the 1st Field Squadron Engineers. On 19th July 1916 he was admitted to the Scottish Horse Field Ambulance, then was admitted to the 31st General Hospital at Port Said in Egypt with a condition not yet diagnosed on 20th July 1916. On 25th July he was transported by hospital train to Cairo, and was admitted to the 3rd Australian General Hospital at Abbassia with Pyrexia. He was discharged and returned to duly on 27th July 1916. Private Wilson served with the 1st Field Squadron Engineers during the campaigns in Gaza and Palestine. On 29th October 1917 he went to hospital sick and reverted to Sapper. On 31st October 1917 he was admitted to the 43rd Stationary Hospital with Cellulitis hand. On 10th January 1918 he was sent by hospital train, and admitted to the 24th Stationary Hospital at Kantara. On 11th January 1918 he was admitted to the 31st General Hospital at Port Said. On 27th January 1918 he was admitted to 14 Australian General Hospital at Port Said. On 2nd February 1918 he was sent to a Rest Camp at Port Said. On 13th February 1918 he left the Rest Camp, and joined the Engineer Training Unit at Moascar. On 27th February 1918 he was attached to D Troop IFSE for duty in the field. His record of service notes that on 26th April 1918 he received superficial abrasions to his arms and hands and hip when he was thrown from a pontoon wagon at Jerusalem. On 28th April 1918 he was admitted to the 66th Casualty Clearing Station at Jerusalem with Diarrhoea. He was transferred to the 75th Casualty Clearing Station on 30th April 1918. On 2nd May 1918 he was admitted to the 47th Stationary Hospital at Gaza. On 6th May 1918 he was transferred to 24 Stationary Hospital at Kantara. On 8th May 1918 he was transferred to 1st Australian General Hospital at Port Said in Egypt with Contused Hands. On 11th May 1918 he was sent to a Rest Camp at Port Said. On 22nd May 1918 he was sent to a Rest Camp at Moascar. On 31st May 1918 he was admitted to 2 Australian Stationary Hospital sick, and was discharged on 3rd September 1918 to a Rest Camp at Port Said. He marched out to the Engineers Training Unit at Moascar on 18th September 1918. On 28th September 1918 he was sent to 1st Field Squadron Engineers, and was taken on strength in the field on 1st October 1918. On 1st October 1918 he was made Driver. 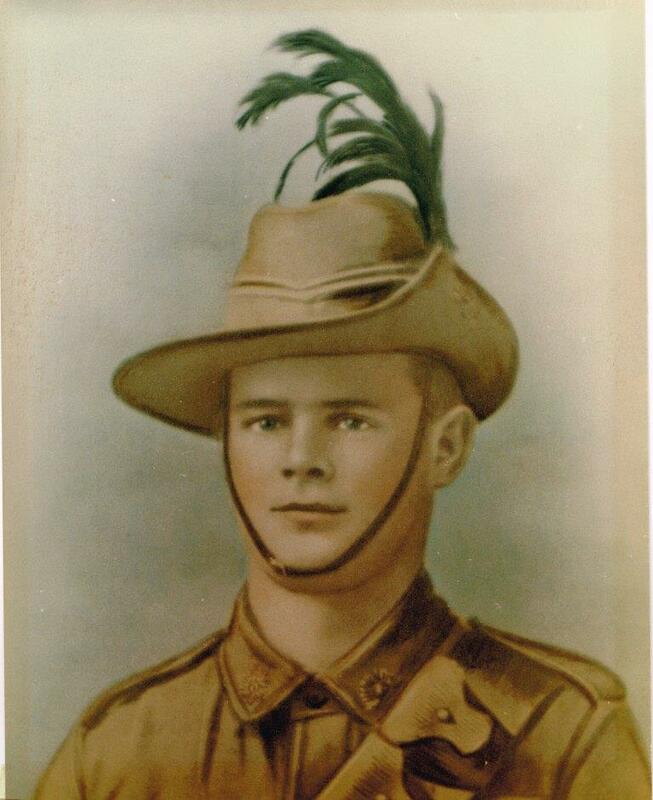 On 19th June 1919 he was temporarily attached to AIF Headquarters at Kantara as a Driver. Driver Wilson commenced his return to Australia on 3rd July 1919 aboard the H.T. Malta at Kantara. He was discharged termination of period of enlistment on 25th September 1919.